The Element Pictures feature film will screen at the Lighthouse Cinema at 6.15pm on Wednesday 5th December. 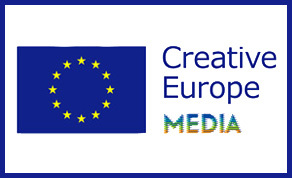 Between 3rd and 7th December, 34 Europa Network cinemas in 27 countries will host the first edition of the European Cinema Night sponsored by Creative Europe MEDIA and Europa Cinemas. In partnership with the Lighthouse Cinema, Europa Cinemas and Element Pictures there will be a free screening of ‘The Favourite’ by Yorgos Lanthimos followed by a Q&A with producer Ed Guiney from Element Pictures and a drinks reception. ‘The Favourite’ is set in early 18th century, where a frail Queen Anne (Olivia Colman) occupies the throne and her close friend Lady Sarah (Rachel Weisz) governs the country in her stead. When a new servant Abigail (Emma Stone) arrives, her charm endears her to Sarah. Sarah takes Abigail under her wing, and Abigail sees a chance to return to her aristocratic roots. The feature film received MEDIA development funding in the very early stages of its development and was later taken on by director Yorgos Lanthimos and produced by Element Pictures. ‘The Favourite’ is due for cinematic release on January 1st 2019.